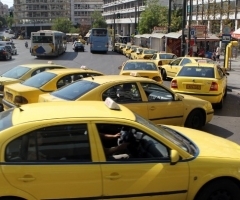 Taxi operators will not work from 04:00 to 16:00 on Thursday, November 8th in a demonstration against a defamation suit filed by Beat taxi company against the taxi federation President Thymios Lyberopoulos. The suit against POEIATA's Lyberopoulos, who has fought Beat's popular online reservation services, will be tried by the courts the same day. POEIATA will rally at 09:00 on Thursday at the Evelpidon courts, while Lyberopoulos has said Transport Minister Christos Spirtzis and Transport Secretary General Athanassios Vourdas will testify on his behalf.